BUCHAREST (Romania), August 1 (SeeNews) - Romanian plastic products maker Teraplast Group [BSE:TRP] said on Tuesday its first-half net profit dropped 59% on the year to 7.890 million lei ($2 million/1.7 million euro) due to stagnation in infrastructure investments and client insolvency. Teraplast's turnover dropped 11% on the year to 171.6 million lei in the six months through June, as sales in the infrastructure field halved compared to the same period last year, the company said in a press release. “The stagnation in infrastructure continues to negatively influence Teraplast’s business and according to the information we have at the moment there will not be significant improvements in the next half of the year," Teraplast CEO Mirela Pop said. Some 43 new environment infrastructure projects which are to be financed with EU funds are at risk as the main management authorities which make EU funds reimbursements are still not authorized to start work, Pop pointed out. To offset the negative impact, the company decided to increase the input of the new businesses acquired in the first half of the year, she added. At the beginning of the year, Teraplast expanded in Serbia as part of plans to boost exports and set up a limited liability company. In June, it bought a sandwich panels plant in Serbia that will double the panels’ production capacity of the group. 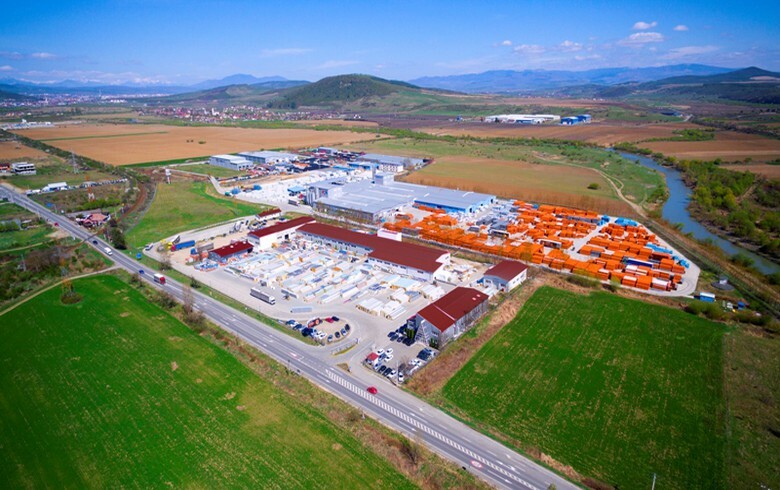 Also in June, Teraplast acquired a further 10% of Romanian roof tiles maker Depaco, boosting its stake in the company to 60%. For 2017, Teraplast Group aims to invest 84 million lei, of which it has already invested 31 million lei in the first six months of the year. These investments will be directed towards increasing capacity through the acquisition of new production facilities, towards maintenance, equipment repair and towards quality improvement, research and laboratory facilities. In 1999, Teraplast acquired a 50% stake in plastic pipes manufacturer Politub. In 2007, Teraplast became majority shareholder with a stake of 70.42% in insulation panel producer Plastsistem, which was later reorganized to manufacture sandwich panels with polyurethane foam core. In 2008 Teraplast listed on the Bucharest Stock Exchange. Teraplast shares were trading 2.39% lower at 0.4490 lei on the BVB by 1514 CET on Tuesday.